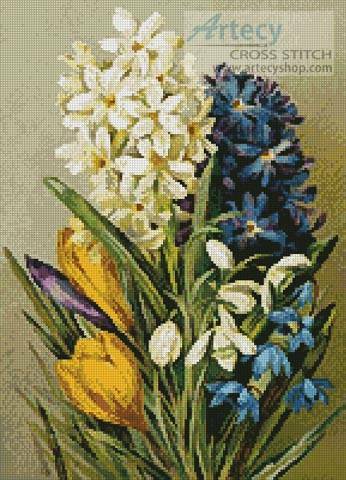 Hyacinths, Crocus, Snowdrops and Scillas cross stitch pattern... This counted cross stitch pattern of Hyacinths,Crocus,Snowdrops and Scillas was created from a painting copyright of Marie Low Gertrude Hamilton. Image courtesy of www.darvillsrareprints.com Only full cross stitches are used in this pattern.